There will be a blogging gap from this evening until Sept. 7 while I move. I'm sure I'll have many things to share from the experience. Sort of a airline price aggregator, Fast Company Now has a post that links through to Mobissimo. Since I happen to be planning many trips, I tried Mobissimo vs. Expedia. Mobissimo was never significantly cheaper than Expedia, but think the Google landing page vs. the MSN landing page and that gives the perfect idea of how much more no-frills and direct-to-the-point Mobissimo is to use. Mobissimo returns results from all kinds of major sites and lets you know which site is providing the best price and who the carrier is; results are automatically ranked from cheapest to most expensive. Additionally, there is a cool e-mail option that allows you to shoot the fare information directly to someone else via a simple java script application. Note that Mobissimo does not actually handle any of the ticket purchases for you; it only redirects you to the site of the ticket that you pick. Further, note that Mobissimo pulls prices from non-US sites that charge in foreign currencies. It's that time again, I have 4 Gmail invites available to give out. I know that some of you e-mailed me before looking for them when i ran out, but I don't want to send you an invite if you've already received one. If you previously sent me an e-mail requesting an invite, didn't receive one, and still want one, please paste in the original e-mail you sent me so that I can take care of you. First come, first served; I'm sure they'll go fast. Mixed reviews though it may be receiving (here and here), the HP h6315 is a PocketPC PDA/phone with integrated GSM, GPRS, WiFi, and Bluetooth that is being exclusively offered by T-Mobile. What's interesting outside of the phone hardware is the fact that the promotional rate plans from T-Mobile include unlimited WiFi access at T-Mobile hotspots. If you use hotspots a lot, that means you are getting a $30 per month fee included in your cell phone service fees, so for $99, for example, you get 1500 whenever minutes, unlimited GPRS, unlimited WiFi, unlimited text messaging, unlimited IM, and for an extra $10 per month you can get access to corporate e-mail (note that there is no mention anywhere of unlimited nights and weekends). I wonder if we'll start to see the same kind of deals from AT&T Wireless or if the Cingular merger will kill any sort of discussion of that kind of deal. Product Endorsements. Write favourable comments about products in your blog; perhaps even including them merely in passing. A link to the company website would be part of the package. Product Placement. A more direct product endorsement would arise from using, reviewing, and recommending Brand X to your customers. Interestingly, if you were endorsing and reviewing products on your blog and you had contextual advertising running, you might actually be help a different company also advertise on your blog simply based on the context of your endorsement. So do you have to choose? If product endorsements and placements take off, would you be required by those sponsors not to run contextual advertising? Even better: could you get them to pay you not to? For some reason Blogjet doesn't seem to like my pasting in from Word; turns the quotation marks and apostrophes into weird numerical/symbol strings. I am going to try to fix this issue, so bear with me. To all of those of you that read the blog via RSS readers, I apologize for the republishing. "You'll never surprise everybody -- don't spend a lot of time feeling guilty . . . change it or forget it." "Proper use of power is . . . to do things that make other people feel powerful." "When in doubt, as the leader of an organization, change it." "I was willing to work hard . . . I was always willing to take risks . . ."
"You can never have a career if you approach what you are doing as a job." "Don't get out of school and have it in your head..."
"Don't get out of school and have it in your head that you are making your one final choice on your career and company . . ."
"People must sign up in HHH -- head, heart, and hands. If you work for me, that's what I expect from you." "You have to differentiate yourself from your competition." "Only god creates miracles. NOT TRUE. Plan miracles by keeping youthful tenacity. Don't be afraid to take a risk." "To strive. To seek. To find. And never to yield." "To strive. To seek. To find. And never to yield. These are the marks of excellence." I collect quotes from business books; I keep them in a Microsoft Word file aptly titled, "Business Quotes." While I find the quotes useful many times for presentations, papers, etc. I found myself questioning why else I was collecting these quotes. Quotes are wonderful because they are free to collect; the only investment is the time that I put into reading a business text. More than that quotes are wonderfully easy to share. So here's my plan: Starting today and continuing through the next few weeks I am going to post every business quote that I have collected. You will note that a lot of the quotes are from Tom Peters -- Tom was the first business author that I read when I discovered business books and I honestly feel that a lot of his writings helped me greatly in getting through business school. As an added bonus, I will also share all of the quotes that I have collected that are not specifically related to business; these quotes are stored in the aptly titled, "Quotes" MS Word file. There is no guarantee that there will be space for everyone that you want to have call in. This service is a big deal. Chances are that your company (or you) are paying a conference call service some sort of monthly fee plus a per minute charge per participant for conference calls. The thing to consider with the free services described above is that your long distance rate per minute is probably much lower than the price per minute charges. Furthermore, if everyone dials long distance to get into the call, then the cost of the call is being borne by each individual caller rather than the company or person who is setting the call up. I must say that I have yet to try this service myself, but I guarantee you that I will be using it soon and will post the results of my experiences. As a side note, they do seem to provide a pretty aggressively priced 800-number option. Is free conference calling the new instant messaging? I feel that free conference calling is the perfect voice-driven complement to instant messaging. ClickZ's Al Diguido considers Google's Gmail service to be a burr under his saddle. It rasps his sensibilities that email marketers could have their communications displayed next to contextual search listings that could include competitors. Among the possibilities he considers is stopping delivery to customers who have Gmail addresses, although he suggests testing emails first to determine if there's an adjacency problem first. Here's a suggestion for 3rd parties sending e-mail to Gmail users: set your spamming, I mean e-mailing engines to not send mail to *@gmail.com and *.*@gmail.com. By doing this, you will be able to opt out of having your e-mail scanned. 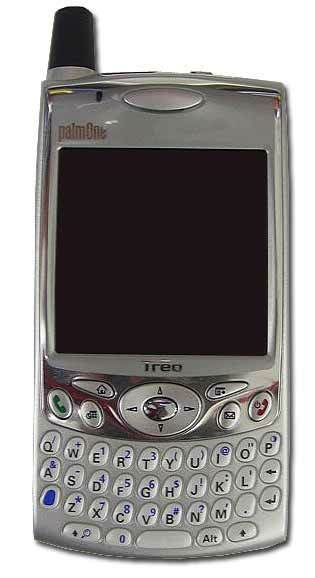 For those of you that use a Treo 600 and are looking to see pictures of the upgraded Treo 650 version, they can be found here mirrored on Treonauts. 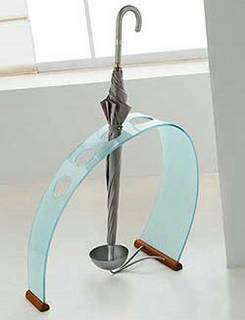 It's not an umbrella stand so much as it is a statement, a piece of art, and a conversation piece. According to this post on Adrants, Jane Magazine has started a promotion where readers can earn prizes by using their camera phones to take pictures of ads that appear in the magazine and send them back to the magazine. I guess this allows the magazine to tell advertisers not only the number of impressions an advertisement may have made based on subscription and newsstand sales, but also gives them an additional metric to report back on. My point is this: Being able to report on the number of people that take a picture of an ad wouldn't convince me that people were really seeing the ad; prove to me that a camera phone picture of an ad is producing a $3 return to a $1 advertising investment. As a side to note to interruption advertising in magazines: Those stupid new Virgin Atlantic tear out advertisements drive me nuts! Not only are the huge and bulky, but they leave behind a strip of stiff cardboard that's been bound into the spine of the magazine that, unless removed, causes the pages behind it to fold around all weird. It's bad enough that you've stuck this massive ad in the magazine, but I can understand the economics of the magazine business; what pisses me off is that when I remove that ad, it is not really fully removed and impacts my reading experience until I spend even more time to remove the strip. Grrrr. Apparently the new versions of OnStar equipment are digital-compatible, so Verizon Wireless has teamed up with OnStar to provide cellular calling via the OnStar equipment powered by Verizon. This is actually pretty cool because the personal calling offered by OnStar leaves a little bit to be desired and operates over the old analog cellular network; this would actually make me consider switching to Verizon, but, of course, it's not available in my area. You pay the yearly OnStar fees for whatever plan you want (don't pay for the personal calling!). You pay a monthly Verizon Wireless charge for calling service. It seems that this is a version of a "family plan" where 2 phones share the same rate plan and pool of minutes. In addition, you can forward all of the calls from your regular Verizon cell phone to your OnStar phone either immediately or after a 4 ring delay. No voice mail or call waiting is available when the wireless phone has been forwarded to the OnStar phone. In-Network calling does apply to the OnStar plan. From the language, it seems that you will pick a home operating state and all of the rest of the states will be "roam" states for the OnStar service. "On July 12, 2004, the Americaâs Choice with OnStar plans will be available in Atlanta, Detroit, Kansas City, New York and San Francisco. The plans will continue to roll out in many markets through the fall and will be available throughout the Verizon Wireless markets by the end of the year." For those of you that do not have nor have you ever seen OnStar, the personal calling is all voice-activated; there is no longer a phone handset or keypad to enter in numbers. In most newer models, there is a button on the steering wheel (or a little white button on the OnStar pad) that allows you to activate personal calling. Note: Verizon and OnStar already work together as Verizon owns the analog cell network on which OnStar services currently operate. Install Windows XP SP2. I personally haven't had any compatibility problems; of course I haven't yet upgraded at work. The security is very much increased in SP2. Get a good anti-virus program. You can still read my earlier post about getting 12 months free of Computer Associates EZ Armor Virus protection and Firewall. Get a good two-way firewall on every machine. See above for the link to EZ Armor or go to some of Socble's free recommendation of the Sygate Personal Firewall or pay for Zone Alarm. Get a hardware-based firewall or NAT at point of network entry. You can get this on a very cheap Linksys router for your house or business. Turn on automatic updating. If you follow the first tip, SP2 tries to do this for you at every turn. Run the latest email and Web clients. New clients traditionally have the best updates and most security. Run Firefox as your web browser; not only is it secure, it's got great features. Visit www.microsoft.com/security regularly. It's the official Microsoft site for security, but chances are that you will get a lot of what you need via Windows Update. Run at least one good anti-spyware program like Adaware or Webroot's Spy Sweeper or Spyware Blaster. I like Spybot Search and Destroy and Adaware myself. If you visit high-risk Websites, turn off ActiveX and scripting in your browser. This includes turning off scripting in Firefox. Don't run in administrator mode. This is super-hard to do; I tell everyone else to do this, but can't seem to get there myself. If you are a casual user, don't need to install software or tinker with things, consider using a Power User account on a day-to-day basis. Keep an install partition on each of your machines. Hard drives these days are big enough to accommodate this without a problem. Even better is to image your main drive to an external drive so that you have a snapshot in time that you can back-up in minutes. The best software for this, hands down, is Norton Ghost. Use better passwords. Stop using your birthday or your last name or silly words that are easy to crack. Random numbers and letters and random capitalization will make it hard to guess your password; I use something to that effect and it is surprisingly easy to memorize. Backup your data regularly. If you are not going to image your whole drive, consider buying an external drive and using offline files so that every time you disconnect from that external drive, you get a copy on your computer and a copy on your external drive. Even better, run a weekly back-up program. You can never be secure enough and most of the items above require little to no investment. If you need to buy hardware such as routers and hard drives, keep your eye on your Sunday paper for sales and mail-in rebates. For software, peruse Amazon and look for mail-in rebates; sometimes you can get good software for free after mail-in. Almost all employees who make less than $455 a week ($23,660 a year) are eligible for overtime. The old rule set overtime for anyone who made less than $250 a week. The new rule applies whether the employee is blue collar or white collar, or whether they supervise people of not. The exception for this rule is teachers, doctors and lawyers. They do not get overtime, no matter what they are paid. Any employee who earns more than $100,000 a year is ineligible for mandated overtime, period. Any employee who earns between $23,660 and $100,000 a year, and who is in most executive, professional, or administrative positions, is not eligible for overtime. This does not, however, apply to salespeople. They are still eligible. Managers are not entitled to overtime if they oversee two or more people and have the authority to hire, fire, or recommend that someone be hired or fired. Administrative employees who have decision-making power and run some sort of operation are not eligible. Employees whose job requires imagination, invention, originality, or artistic or creative endeavors are not eligible for overtime. Employees whose main duties are computer-related and involve the implementation, analysis, development, or application of computer systems or designs are also not eligible for overtime. Sales staff that regularly work outside of the employer's place of business are, you guessed it, not eligible either. That information from USAToday pretty much answered all my questions, but if you need more information, I would direct you to the US Department of Labor. Bugmenot was with our original hosting company. They pulled the plug. Decided to move to dissidenthosting.com, redelegated. Things have just about settled down now at our new host (nearlyfreespeech.net) and everything seems to be working out. Personally, I don't care if I'm sharing a server with neo-nazis. I might not agree with what they have to say, but the whole thing about freedom of speech is that people are free to speak. I'm just happy the site is back up. Pretty interesting service if you run a large. mobile corporate workforce. Now you can sync your BlackBerry handheld with your Mac. PocketMac BlackBerry Edition is the first program to allow Mac users to sync their crucial data between their BlackBerry and Entourage, Address Book, iCal, Now Contact, Now Up-To-Date, and even Stickies. And it's fully integrated with iSync as well! Looking at the picture list of Blackberry devices that the software is compatible with, it seems to be compatible with every Blackberry model I've seen on the market so far. The name of the software? Rsscalendar, of course. Ok, so I signed up for an account, published the feed, and the general idea is pretty cool: you can get my calendar events via RSS. Integrate with Plaxo so that I don't have to use 2 seperate services. Allow me to upload a calendar file from Outlook to the service or, even better, constantly sync my Outlook calendar to the service. Plaxo integration would also allow you to do this. Very cool start and worth checking out. I wrote about bugmenot.com a while ago when it first launched and have used it consistently ever since. Suddenly I go to get a login and password and the site is down! For those of you that did have a chance to use the service, Bugmenot maintained a database of logins and passwords that you could use to access registration-required sites, such as the Los Angeles Times Online. "Our host pulled the plug. I reckon they were pressured. If anyone has got some secure, preferably offshore hosting in mind then please let us know so we can get the service back up as soon as possible." "I don't have the inside scoop on what happened to BugMeNot, but thought you might find this interesting. I've used the site in the past from work with no trouble, but as of today, it is blocked (our company uses WebSense filtering). I get a message saying that the site is blocked by the "Racism and Hate" category..."
"Hate." As in hate to have to give an e-mail address and all my personal information to read your news? This was a worthwhile service and I am personally very upset to see that it has gotten shut down. OSNews has a good article with freeware tips for Windows PCs. Not a bad list overall, especially if you are just getting started on Windows. BlogJet is returning some error that isn't allowing me to post using it. I love BlogJet to post and I love it even more when I have to go back to the old Blogger posting interface. ChangeThis is live, officially! Go check out Seth Godin's latest project and read the manifestos! So I'm working on my experimental work blog over at House of Blues Blog; swing by and check it out. The problem that I'm having is coming up with content for the blog -- I have decided to put everything music industry-related over there rather than here, but beyond that I'm a little stuck. A lot of what I do on a daily basis is just what I do, although it might very interesting to all of you; I'm almost tempted to do a day-in-the-life series much like Trump did in The Art of the Deal and How to Get Rich. Any thoughts, questions, suggestions are more than welcome; feel free to e-mail me or leave a comment here. "The reason I draw your attention to this is the important distinction between internal and external. Many articles and posts fail to make this distinction, leading to confusion over what is a corporate weblog." Installed XP SP2 (click here to find the download, but install at your own risk) on my Vaio R505 home machine last night. Aside from the fact that it took about 35 minutes from the time I double-clicked the package to the time I restarted, there are no real adverse effects that I have noticed. During the boot-up from the restart following installation, you do get sent into a wizard that prompts you to turn on Automatic Updates (or not) before the first SP2 boot cycle can even complete. What is interesting to me is that I already had Automatic Updates turned on in SP1, but apparently Microsoft wants to make a big deal out of the whole Automatic Updates feature because my previous choice certainly did not translate through. I am running the free year of Computer Associates EZ Armor (click here for the link to the 12 month promo), so I did not get any of the pop-ups from Windows regarding my virus detection or firewall. Checking in the network adapter settings, the Windows firewall is activated across all adapters for almost every available check box. I do know that when I installed the latest version of SecureClient from Checkpoint last week on my work machine it prompted me with a dialog box to deactivate the Windows firewall; I haven't tried installing the latest version at home, so I'm not sure what will happen will SP2. Just to verify what I had heard, I tried re-installing AdAware. AdAware is not digitally signed and SP2 is not especially friendly to unsigned application installs. Internet Explorer is very beefed up. One of the obvious major additions is the pop-up blocker that is now integrated into the software. I still had Google toolbar installed when I booted IE, and I neglected to see if the Toolbar counter was registering blocked pop-ups or if IE was blocking them before the Toolbar even had a chance to notice they existed. One major thing that I did notice: I have been using the "New Window" tag on some of the links on this blog and IE very effectively blocks them so all links on this blog moving forward will open in your default window unless you right-click and designate an alternate opening path -- definitely want the blog to be SP2 friendly. There seems to be major improvement in the Wireless Network Connection interface. Right-clicking on the wireless icon in the tray brings up a much more user friendly interface for selecting wireless networks to connect to and generally configuring wireless networking settings. If you may remember my previous post regarding Windows XP and WiFi, there was a documented problem with Windows XP SP1 and WiFi and SP2 was supposed to correct the problem listed in my post. I have not been able to verify if the problem has been fixed through my own extensive use, but there does seem to be better latency with a Linksys access point with which I used to have horrible problems (of course my Sony is not Centrino-powered so it is using a separate wireless card meaning that I can disqualify the Centrino-certified access point problems right off the bat). All in all there seems to be no negative impact on the home machine. The IT department at work plans on testing SP2 for at least a month, so I won't be able to provide tons of hands-on feedback from my daily work. The one thing that I do find interesting about SP2 is how Microsoft packaged the SP2 upgrade with the major TabletPC upgrade (more details about the Tablet PC upgrade here). The SP2 file is about 250MB, which is a hell of a download for someone on dial-up and I do have to wonder how much of that overhead isn't even used when installing on a non-Tablet PC. It's the willingness to shoot from the hip and even go so far as to follow Ross Perot's "Ready. Fire. Aim" methodology. But more than just going with your gut, it's the emotional energy that you put behind the gut-driven decision. How do you decide what's bold and daring versus just damn stupid and reckless? Use your best judgment. Experience and background and learning all play a part in the decision. Can bravery be learned? Or is it genetic? You are what you are. Just like in the answer above, it is all of your experiences and background and learning that make you brave, and, sure, genetics plays a role in that. Can you prepare to be courageous? People can smell a lack of emotional commitment from a mile away. Stress: Does it stimulate or stifle courage? Is courage an individual or a group activity? You need to have support to take a courageous action; the effects of courage relate directly back to the group. That being said, a courageous decision is not the result of a group vote. How do values relate to courage? Your values dictate your risk/return attitude. So is there courage in being patient? Sometimes. Ready. Fire. Aim. seems highly aggressive with little patience, but you can pick out targets and fully prepare your weapon a long time before you are "Ready." Where do you find the courage to speak truth to power? How do today's CEOs define bold leadership? How do you get a board of directors to be daring with you? What's the greatest enemy of courage? You can get more varied answers than mine and answers to the questions that I did not answer in this month's Fast Company. woot.com is an online store and community run by the employees of a 10 year old consumer electronics distributor that focuses on close-outs and generally buying stuff cheap. Since the distributor doesnât sell to end users, Woot, Inc provides us with an employee-store slash market-testing type of place. Hopefully the boss wonât take notice. We anticipate profitability by 2043 -- by then we should be retired; someone smarter might take over and jack up the prices. No. We sell 1 item per day until it is sold out or until 11:59pm central standard time when it is replaced (see next entry for details). However, each item we sell is in stock and ready to ship that day. Our warehouse manager thinks we are insane. No. Each woot.com product is discontinued at 11:59 central time monday-thursday and sunday. We may get more at a later date if we're lucky, but we offer no guarantees, we allow no backorders, and we have no waiting / notification lists. Too bad. Woot sounds like an awesome idea to me. The principles behind it are so simple that some people might find it complicated. Can't wait to see how many other retailers steal this model. Ok, this is one of my big pet peeves. When shaking hands apply a firm pressure: I am not shaking your hand to test your grip strength, but at the same time, I do not want a limp fish in my hand. If your hand is clammy or sweaty for some reason, quickly wipe it on your pants before you shake my hand; with practice you can do this very discreetly. When you grasp my hand you want the web in between your thumb and first finger to meet with the web between my thumb and first finger; do not just grab my fingers. For women: Everything above applies to you as well. Do not offer me only your fingers. Chances are very good that I am not going to kiss the top of your hand, so unless we are in a situation that absolutely dictates that the top of your hand needs to be kissed, offer up your whole hand for the shake. I promise that I am not going to try to crush your hand, but I do ask that you provide some sort of strength feedback during the shake. Ok, this is just pretty funny, so I figured I would direct you over to Engadget's Guide to adding a cigarette lighter to your PC. Unfortunately there is no massive engineering feat involved; they actually just ordered a pre-mounted cigarette lighter on a 5.25" enclosure that goes right into a hard drive bay. I was hoping for some sort of USB connection that required many parts from Radio Shack and at least a couple of engineering classes; Engadget's solution was easier than putting together Ikea furniture.